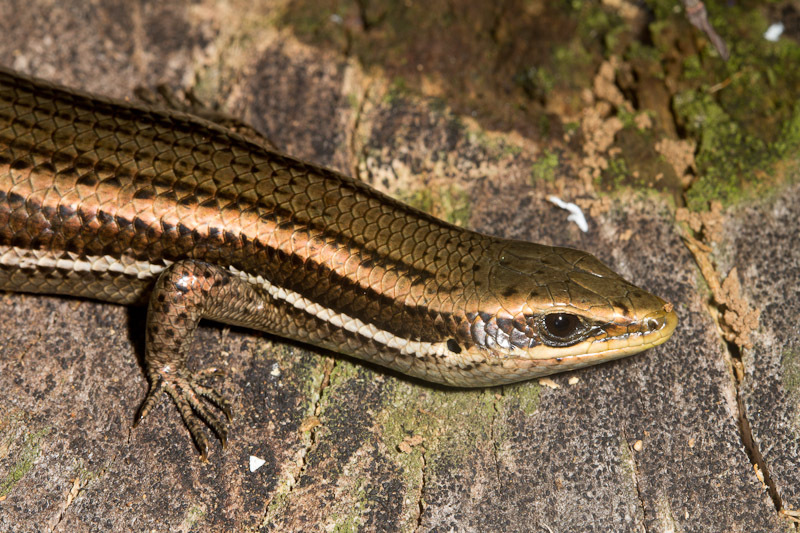 I thought it would be difficult to identify this skink, but it turns out there are only three skinks in Costa Rica. Only two of those occur in the area I was in. 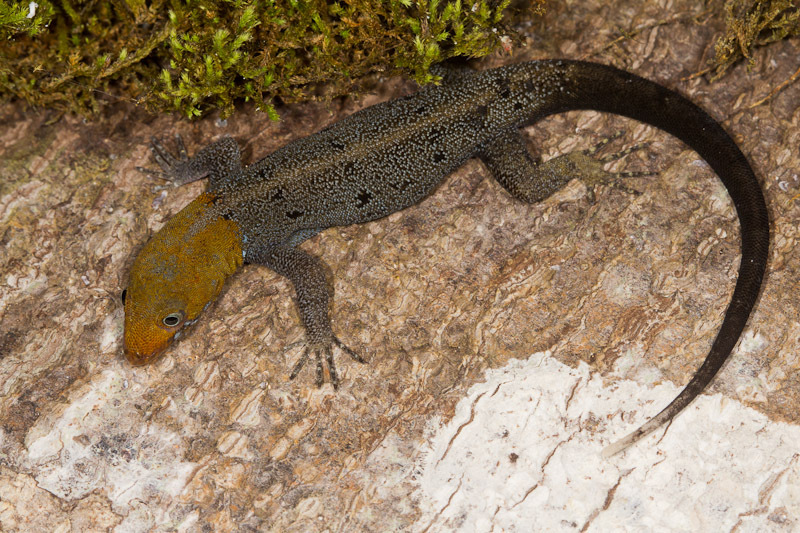 And only one, Mabuya unimarginata, is bronzed like this one. 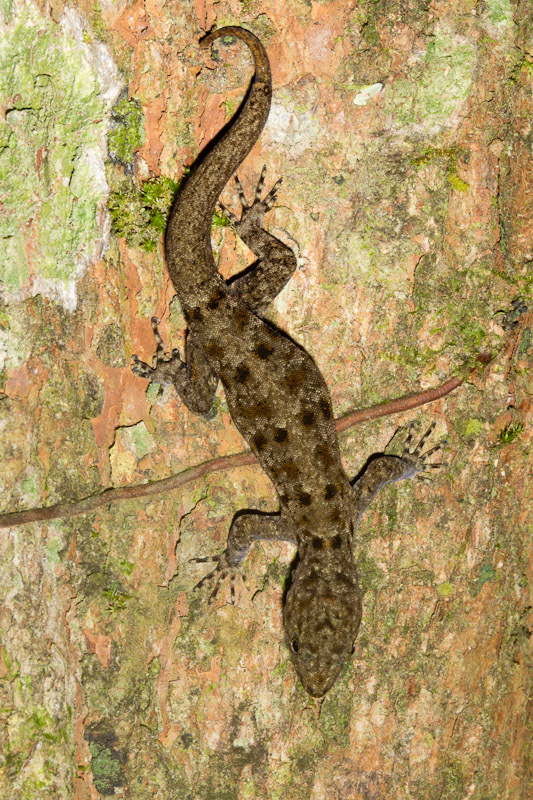 Chiefly arboreal, this one was nonetheless basking on a log near the ground. See more images of this species here. 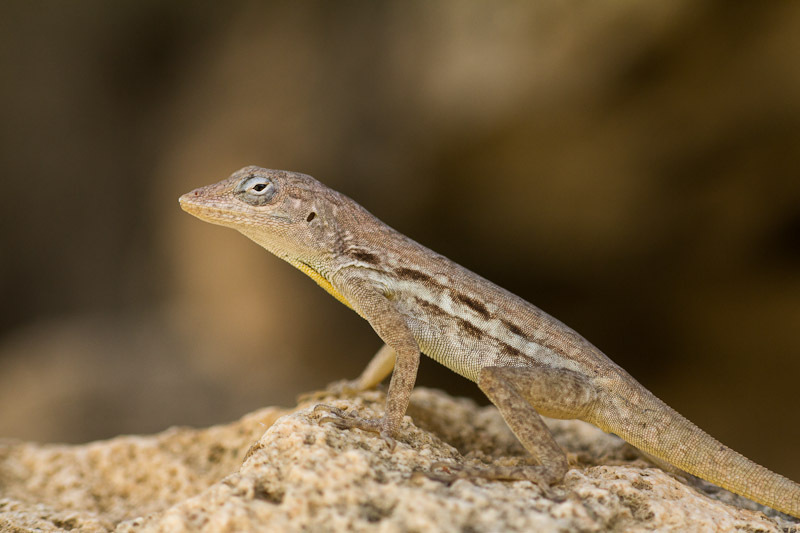 I photographed this slender anole, Norops limifrons, not long after sunset. 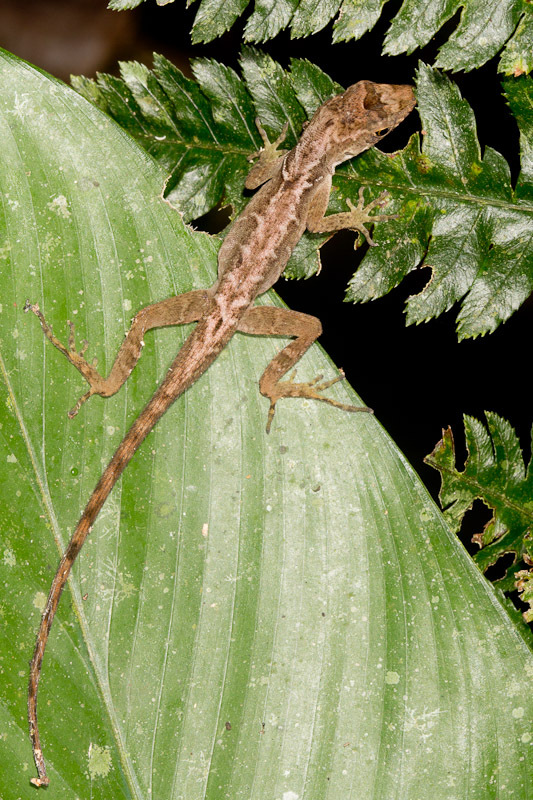 This species is common and abundant in Costa Rica. It ranges from Mexico to Panama. 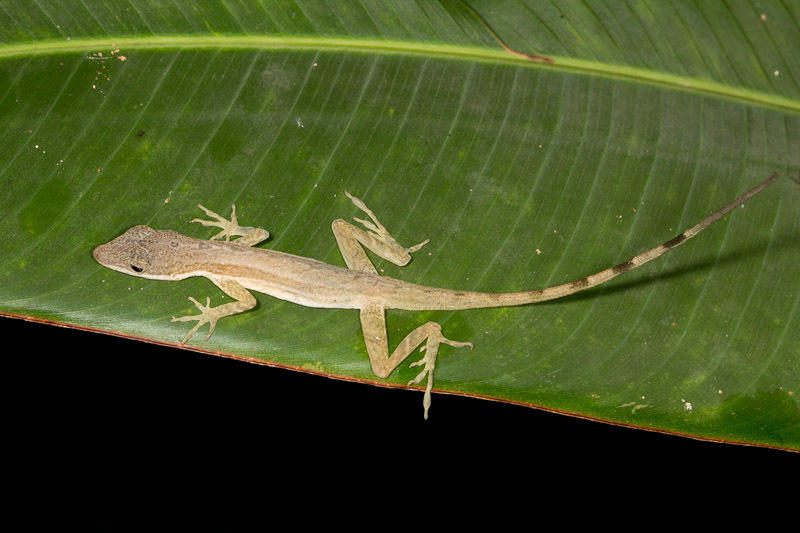 As dusk arrived, I spotted this small vine snake, Imantodes cenchoa, descending a large tree. 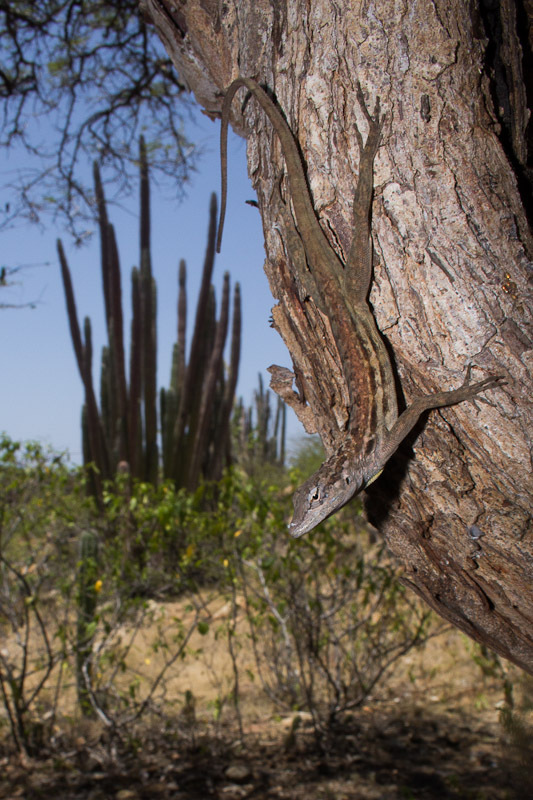 This species is chiefly arboreal, so seeing one near the ground was sheer luck. 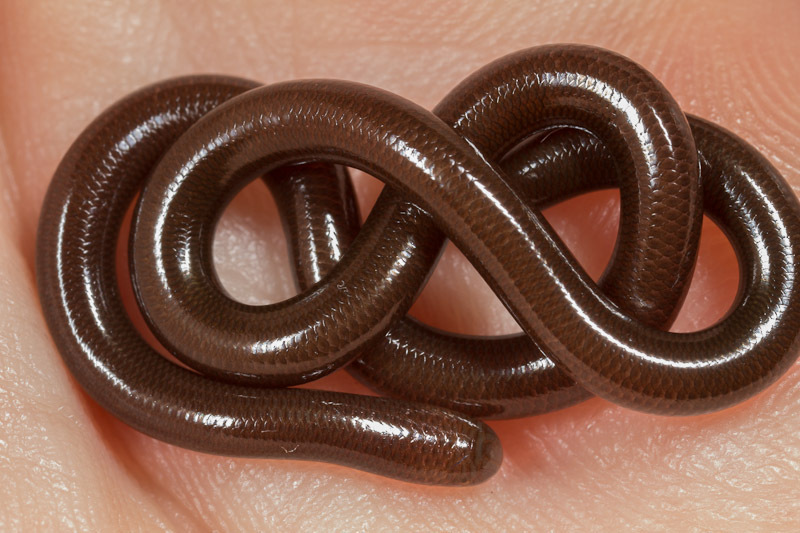 A small snake, the head shown here is only 5mm wide. 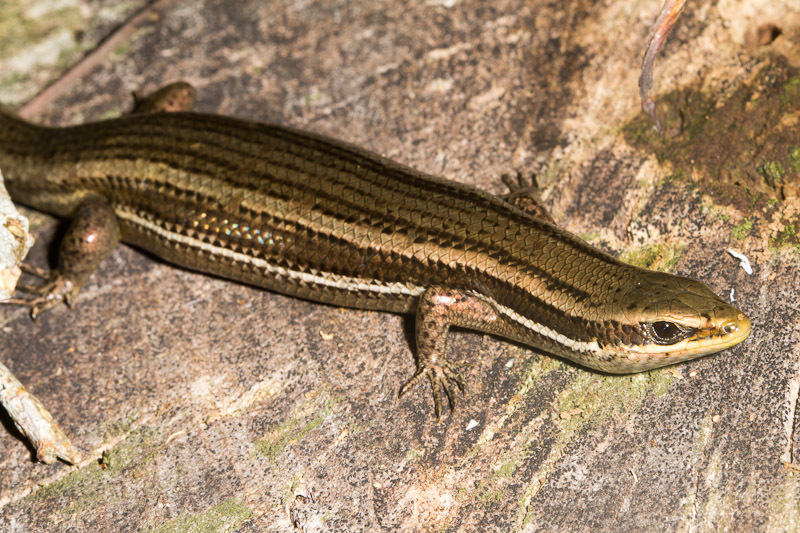 Overall I estimated this one to be less than a meter long, although they can grow to a bit more than that. 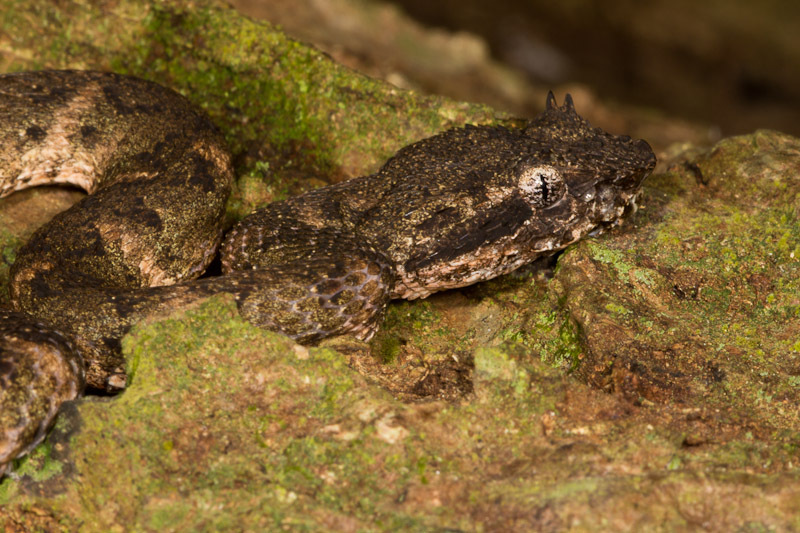 This eyelash viper, Bothriechis schlegelii, was on the side of a tree. 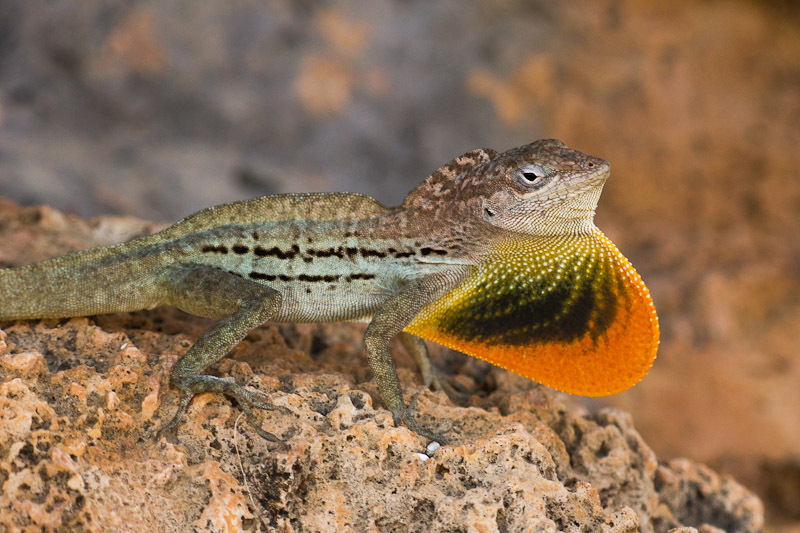 A recent crypsis challenge asked readers to find it, which turned out to be fairly easy. 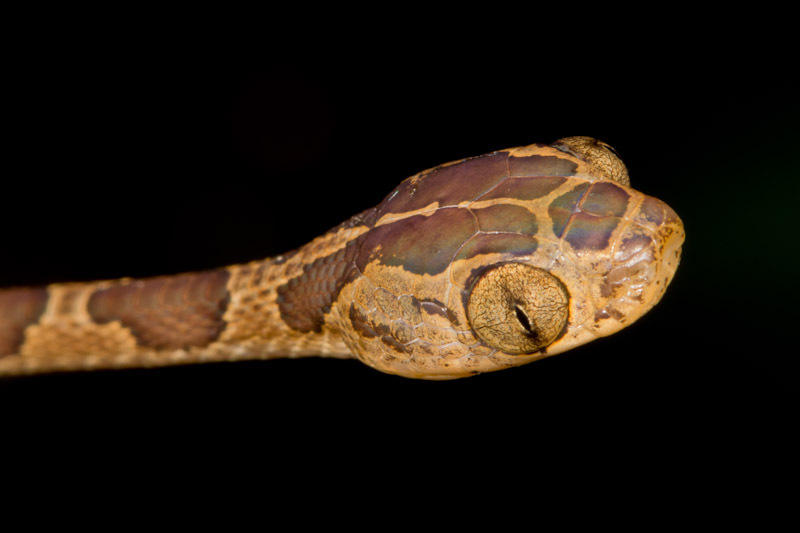 In the photo above, you can easily see the two scales above the far eye that give this snake its common name. 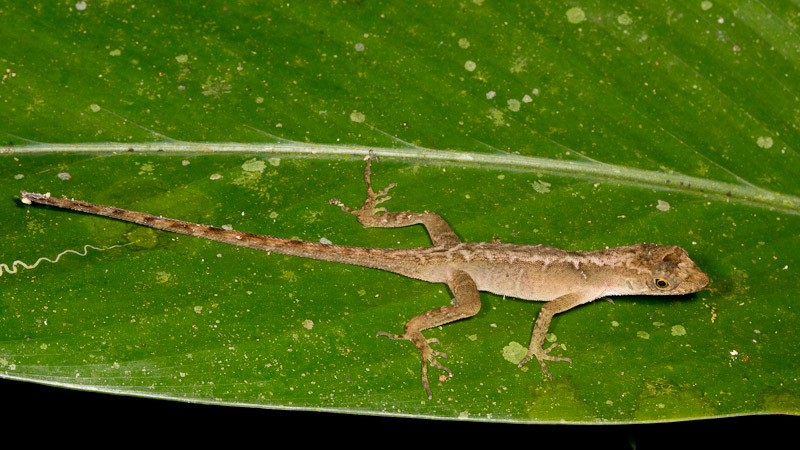 No other Costa Rican snake has this distinctive feature.